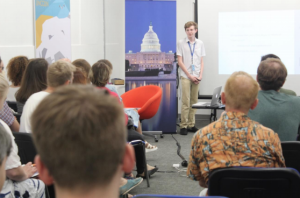 During the summer, the students were asked to choose a topic of interest and conduct individual research, including interactive research methods, and then present their findings to the group. 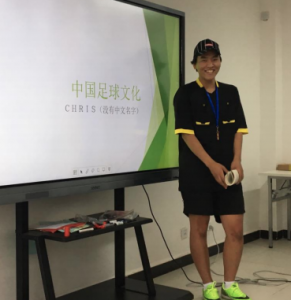 With most projects featuring some sort of comparison between the U.S. and China, students’ research included topics such as the academic stress of high schoolers in the U.S. vs. China, gender roles in China, youth culture, and beauty standards. Based on the presentations, the students showed great improvement in their research and language skills. NSLI-Y Russia summer participants hosted in Kirov, Russia gave their final presentations in early August. Host families local staff were in attendance and listened to participants describe their experiences on program. Participants were enthusiastic in sharing stories about their host families and their time together. 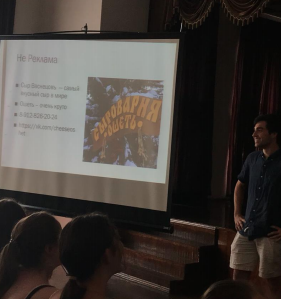 End-of-program certificates were distributed to students and host families, and everyone shared a final meal together before participants traveled to Moscow for the weekend. 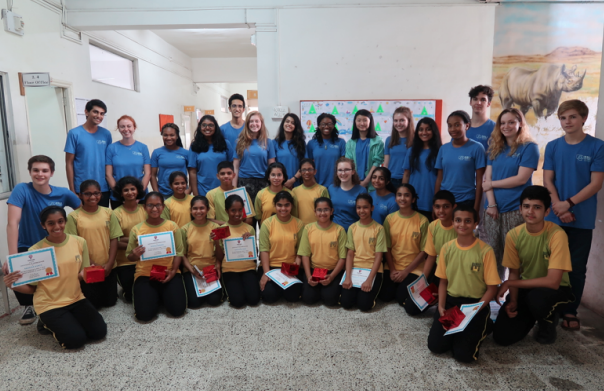 NSLI-Y students, along with their language partners, gave final presentations on the different states of India. After meeting every week during the program, it was their final day together. 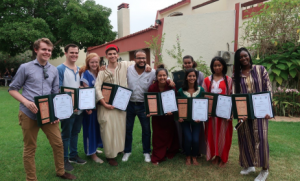 After everyone presented, the NSLI-Y students gifted each of their partners with a certificate of participation as a peer tutor as well as a small token of their gratitude. All students were proud of their progress and the relationships they had built with each other over a short period of time. Students completed their Arabic studies in early August, at Qalam wa Lawh, presenting in Arabic for five or more minutes on topics ranging from their daily lives in Morocco, to trips they have taken to other countries. One student achieved a score of 100% on her final presentation, an impressive feat for a beginner student, according to her Arabic teacher.